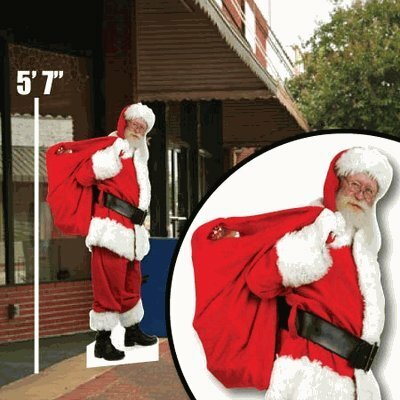 You may not have seen Santa in flesh and bones but this 5’7” cutout will make him come alive in our lawns fully dressed in his iconic attire. His benevolent looks and bag of goodies on his back makes him an iconic piece for photo sessions. When it is time to celebrate say hello to uniquely designed lawn decoration cutout which is barrel of fun! Want to have a cartload of them? Check these out. 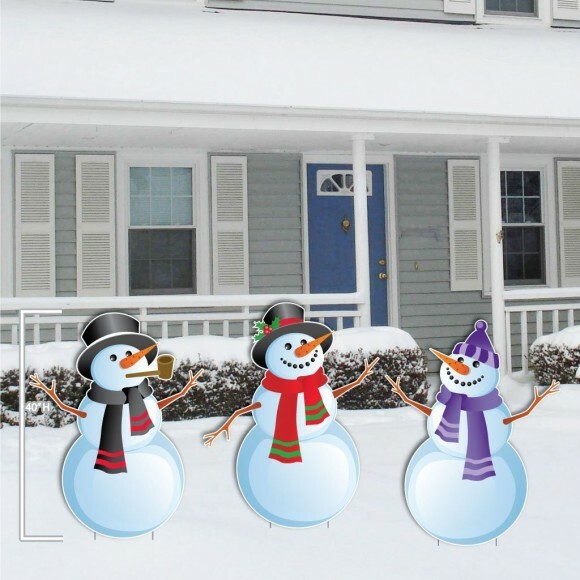 Along with Santa why not bring home these 3 stand ups of gleeful snowmen who look like they are in for a party. Made from corrugated plastic with stunning digital printing they are bound to add festive looks to your lawns. This cutout has cuteness written all over it. It is a wooden piece of art that comes with mounting brackets. 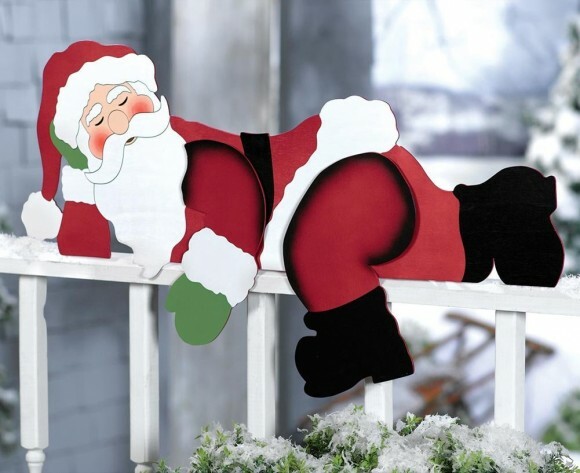 The baby like lawn decoration cutout of Santa snoozing over your fences and railings will bring bundles of joy to your young ones. 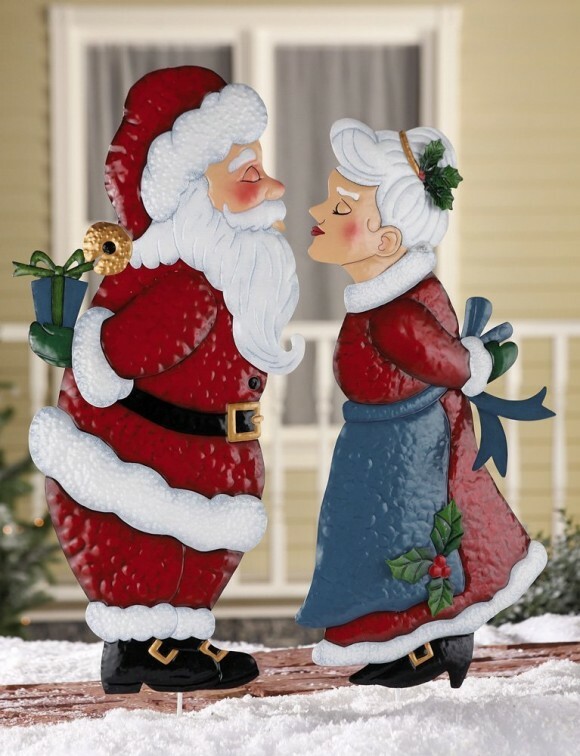 These two cutouts appropriately name Santa and Mrs. Claus facing each other all set for a kiss, are here to bring Christmas custom alive. Put them in your yards for a smooch and hang up mistletoe to make the settings picture perfect. 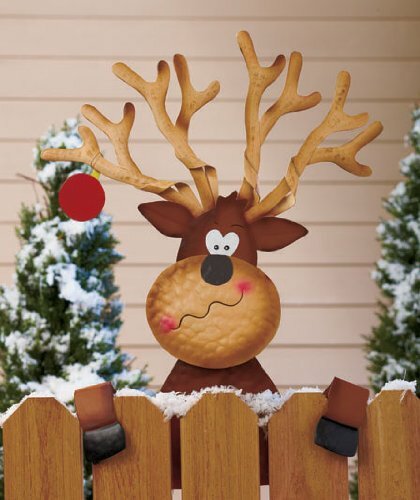 This reindeer is a bemused looking very homely character which you can latch on to your fences. His funny face looks like he is in wonderland, and will give folks walking by reasons for smiles. And if you are on a lawn decoration cutout spree why not bring this frozen snowman home! 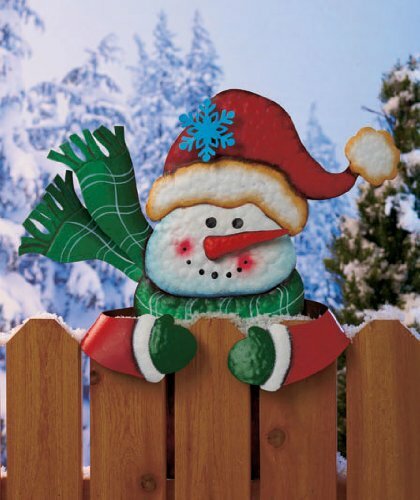 This metallic cutout will clinch to your fence as if the snowy winds are going to blow him away. It will definitely lend cool looks to your lawns. This self-inflated Santa standing 7’ stands apart from the rest. Donning military khakis and he has blessing for America. 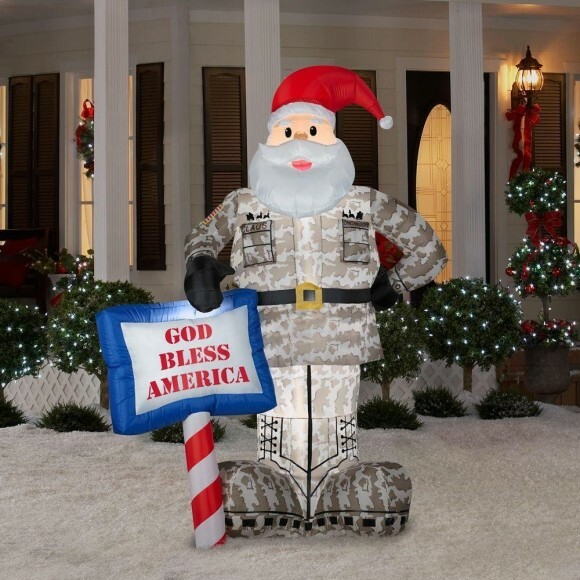 Your lawn yards will look like the angel eyes of the military Santa watching the proceedings.